Chatillon Manual Test Stand MT500 Series - C.S.C. 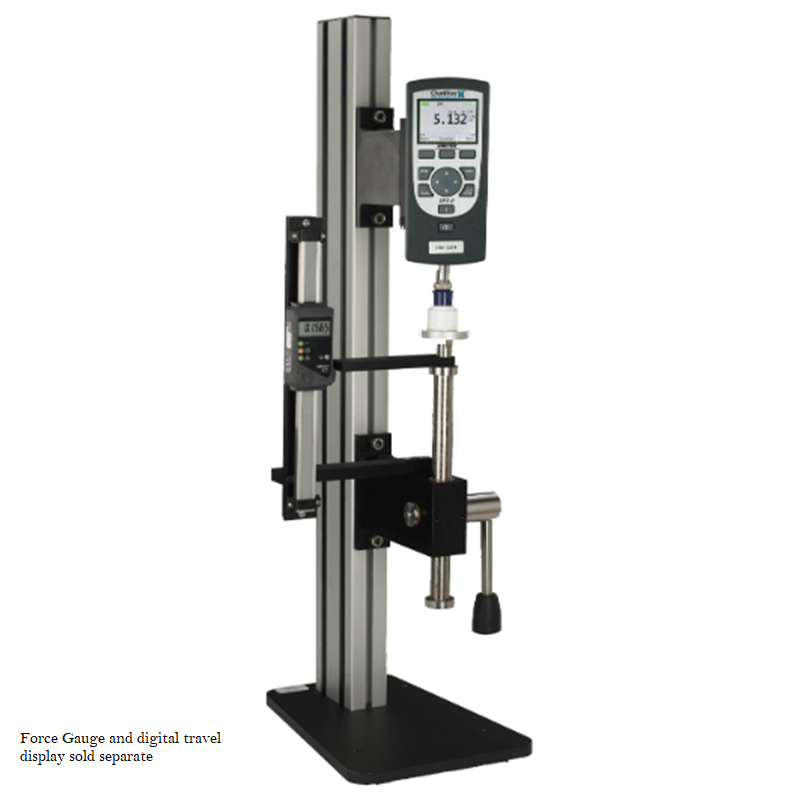 Force Measurement, Inc.
Have a question about the Chatillon Manual Test Stand MT500 Series? 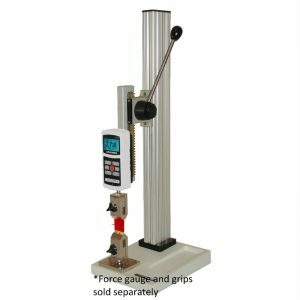 The CHATILLON®MT500 Series mechanical test stand is an easy-to-use solution for force measurement applications up to 500 lbf (2.5 kN) capacities. The test stand may be equipped with a quick-action lever or precision handwheel for controlling crosshead speed and travel. 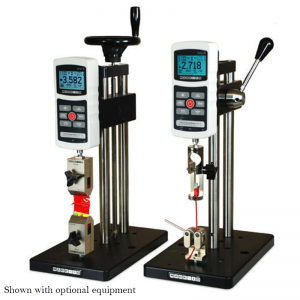 The MT500 test stand can be bench mounted, wall mounted or positioned horizontally. Vertical clearances are available from 750mm (29.5 inch) up to 1500mm ( 60 inch). Standard stroke is 6 inches (150 mm), although longer strokes can be accommodated as a special order. The MT500 Series features an innovative design that maximizes working space and simplifies operation and maintenance. 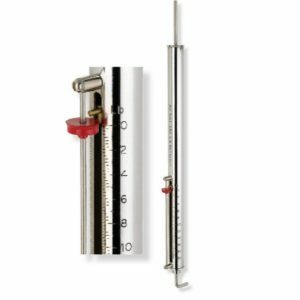 The single column design with 150mm (6 in) throat is ideal for large specimens. The removable platen is designed to accommodate metric and imperial threaded fixtures. Special gauge adapter make gauge alignment automatic. 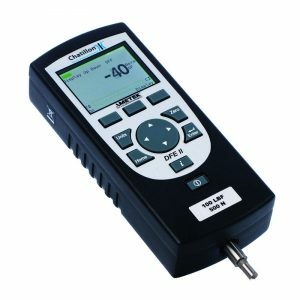 Options include a digital travel indicator, capable of displaying travel up to 0.01mm (0.0005 inch) and column ruler which is graduated in millimeters and inches. The MT500 Series includes hook, compression plate, adapters and gauge mounting hardware.